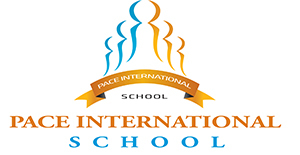 Pace International School is one of the best schools in the U A E which offers CBSE Curriculum. The school started functioning from April 2016 and it can accommodate 5500 students. Now there are 2200 students on roll and has got classes from K G 1- Class 8. The school has a purpose built building with all the modern facilities which include soccer grounds, basketball courts, swimming pools and separate play area for boys and girls. All class rooms are equipped with interactive smart boards with internet connection and CCTV cameras. The School has been approved by the Ministry of Education, Sharjah and has qualified and experienced faculty members in all disciplines. The school follows co-education up to class 3 and has separate classes for boys and girls from class 4 onwards.